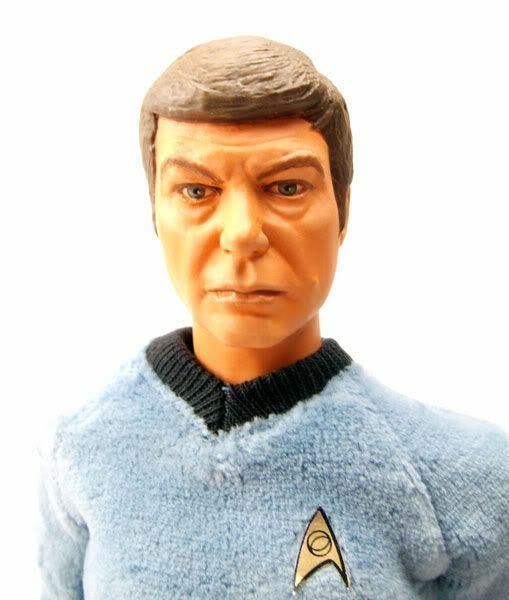 Bones here stands 12" tall and would have been released as part of Sci Fi Metropolis Star Trek 12" line. Look at that head sculpt! 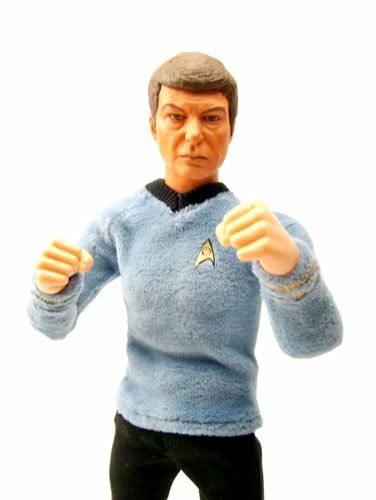 That's McCoy, down to the mole! Sci Fi Metropolis can NAIL a head sculpt, no doubt. Now this is a hand painted prototype and not a production head, but I doubt that the production one would turn out too different from this based on how good their Lost In Space heads are. 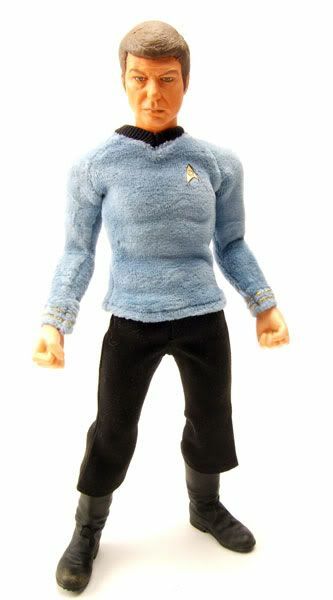 It's a shame this thing will never see store shelves because that is easily the best Kelley head I've ever seen. The body is really top notch too. Their 12" body is very well articulated with joints all over the place. 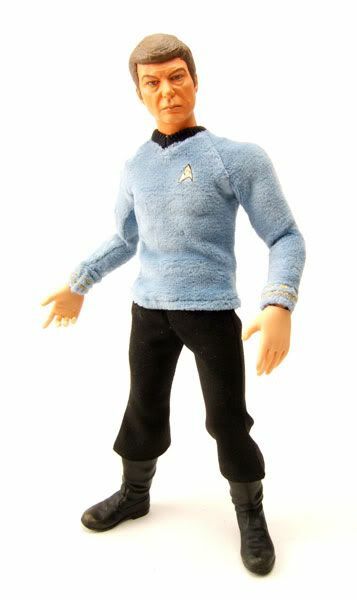 Plus, the body can actually be modified to fit taller characters (both the arms and legs can be extended) so characters like Spock can be made to appear taller than Kirk while still utilizing the same body. Okay, the shirt. 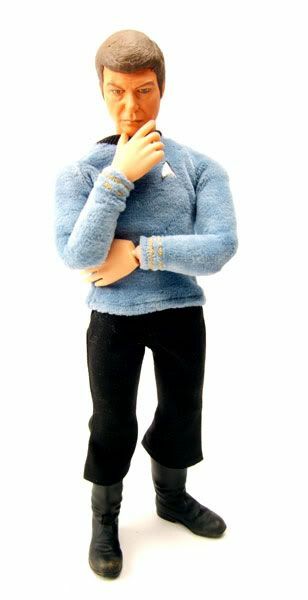 Alot of people dog the shirts used in the pics of the Kirk and Spock prototypes that are floating around out there. I have to say that they look WAY better in person than in pics. I don't really mind them and you have to keep in mind a few things. First, the shirts do look very 'veloury' in the early episodes of the series. I think that's what Si Fi Metropolis was shooting for as opposed to the later look of the uniform. Second, these are early prototypes and not finished figures. There's really no telling how they would have looked when they were produced. There's no complaints on the rest of the outfit from me though. The pants sit just right, and the boots are nice (with even a bit of dirt from away missions painted on them). 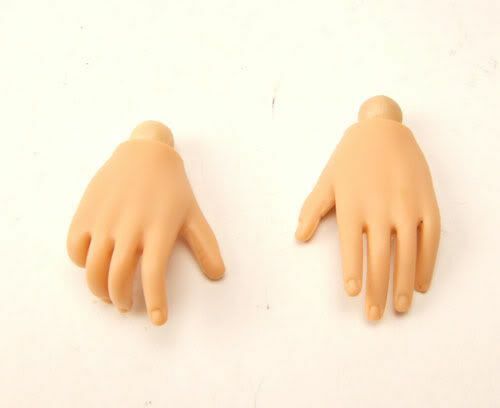 Accessories: The only thing with McCoy right now are the set of interchangeable hands. 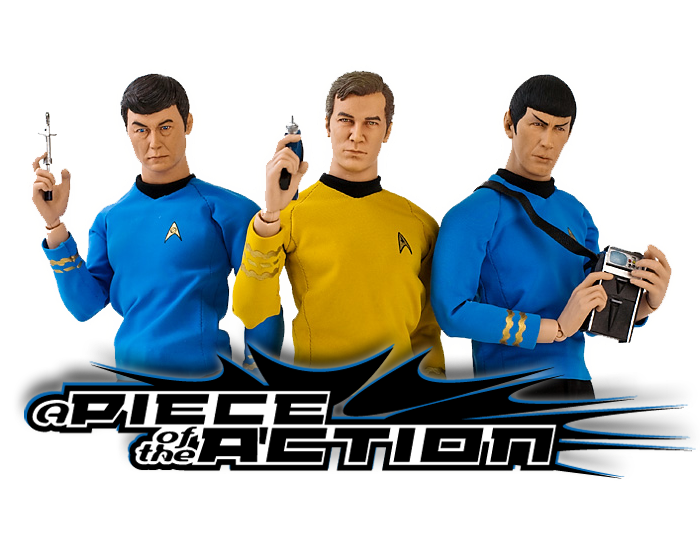 Had he been produced, we would have seen really nice 1/6th scale communicators, phasers, and tricorders with these.